The Lubbock Police Department is currently searching for 38-year-old Michael Anthony Jimenez who is considered a person of interest in the death of 51-year-old Cristino Gil Ortiz. Ortiz, an Army Veteran, was found deceased in his Lakeview Apartment on February 1st. Investigators believe Jimenez may have information about Ortiz’s death and would like to speak to him. 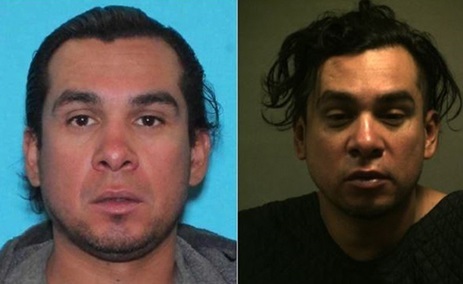 Like Ortiz, Jimenez is known to be homeless and has ties to the Amarillo area. Jimenez is described as Hispanic male with black hair and brown eyes. He is 5 foot 9 inches and weighs approximately 190 pounds. People with information on Jimenez or his whereabouts are asked to call Crime Line at (806) 741-1000. Callers can remain anonymous and may be eligible for a cash reward. Through a new partnership, Kerby and Wade Law Offices in Lubbock is dedicating an additional $5,000 to the original Crime Line Reward, bringing the total possible reward to $10,000 for information about Ortiz’s death.